When you think MeisterSinger, you certainly have to think single-hand / mono-aiguille kind of watches – only one single hand that displays the time, in a slow and not-so-precise way, which actually brings a certain charm to these watches. 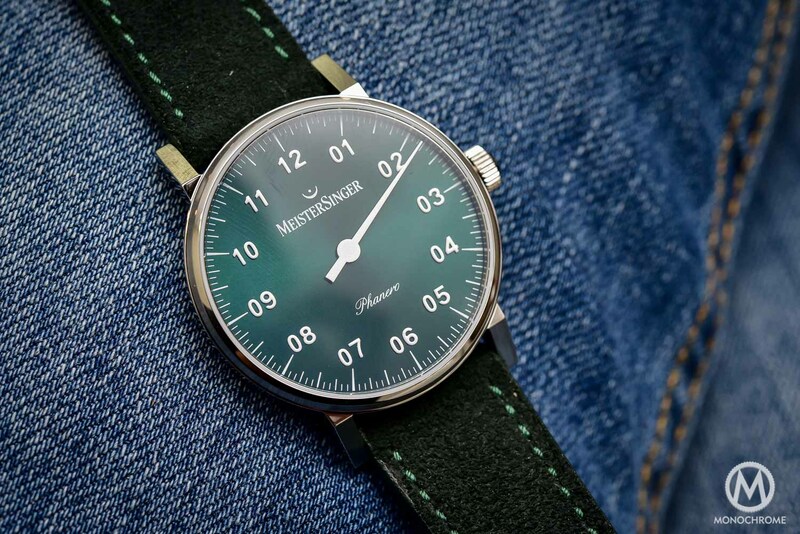 This is what MeisterSinger is good at – besides being an interesting and affordable proposition for watch lovers in a need of something different. For Baselworld 2016, the brand came up with their smallest, simplest, so-to-say the purest watch they probably ever had. 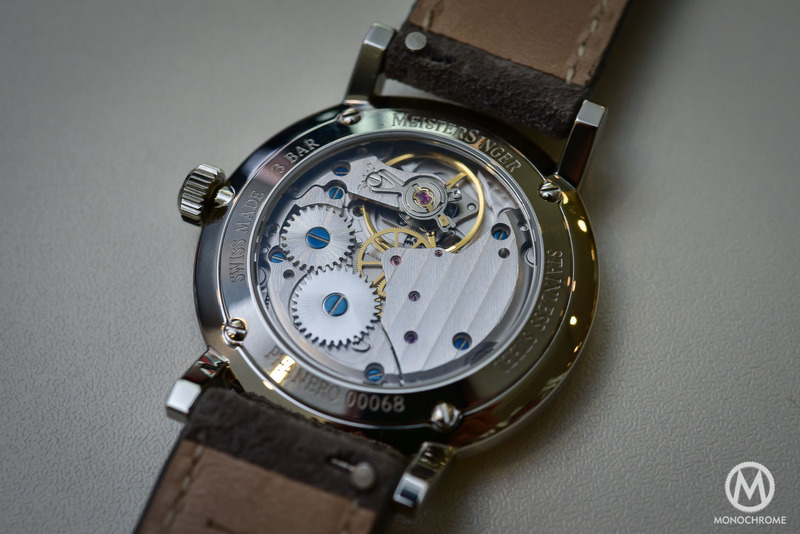 Here is the MeisterSinger Phanero, with thin hand-wound movement and revamped design. 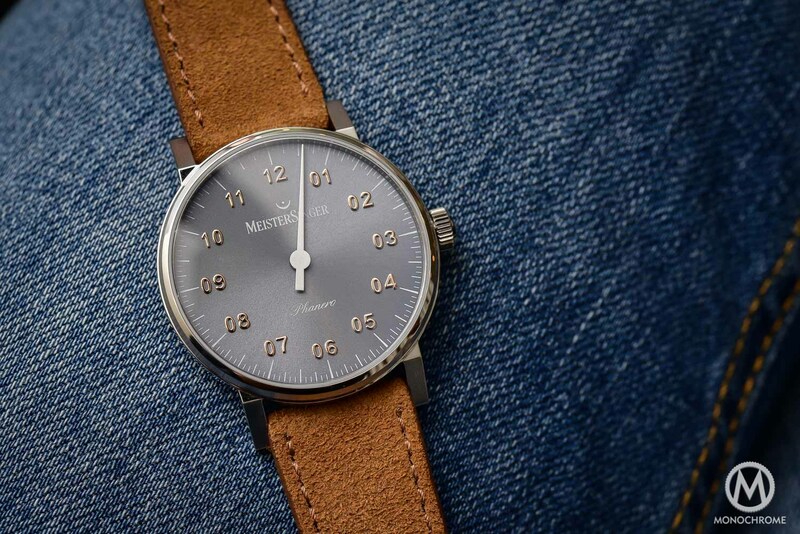 The collection of MeisterSinger is built around one single axis, as all of their watches, whether they have complications or not, have one hand that displays the time. No differentiation of the hours and minutes here. One single hand rotates around the dial in 12 hours, running on a track with 5-minute segments. 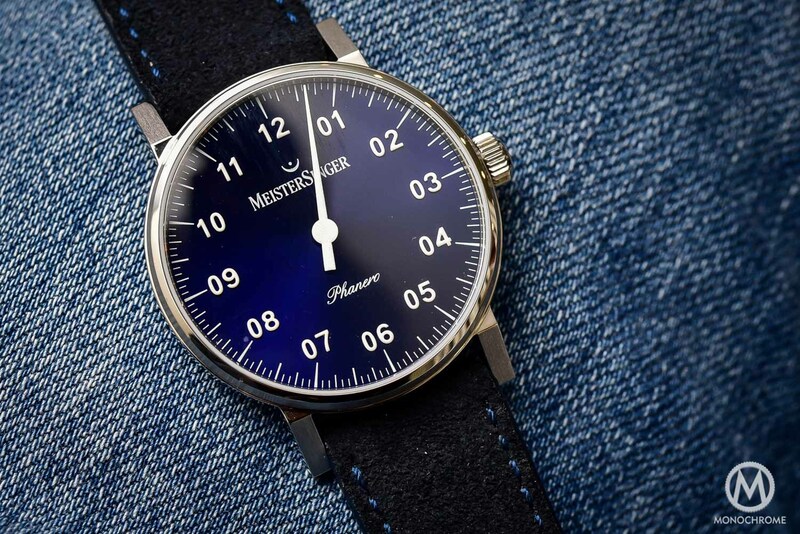 Thus, we can’t call MeisterSinger watches precise ones – in terms of display of course, this has nothing to do with the accuracy of the movement – but this sort of handicap is what makes MeisterSinger attractive. A slow, not-so-accurate way to tell the time… almost poetical. If you look at our archives about the brand, you’ll see that all of them have this purity of the design. 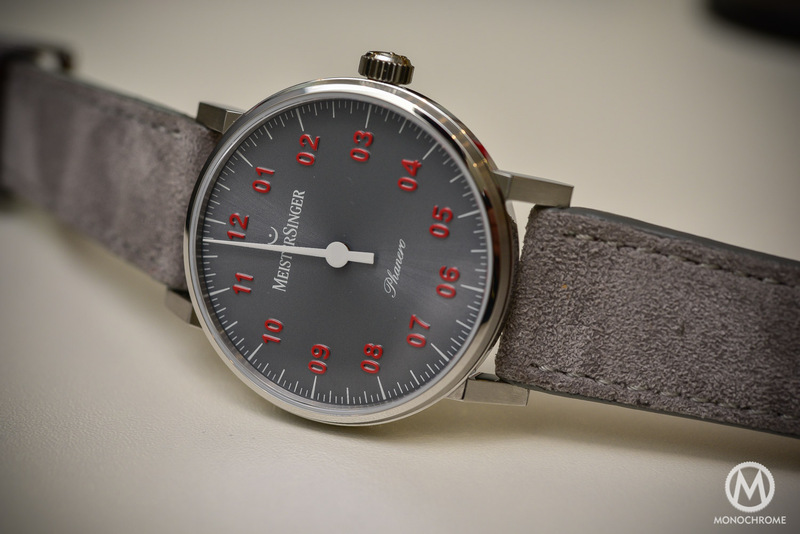 And the purest of them all was the Neo, a small 36mm, simple automatic watch with date, in a very round case. All here was round and domed. 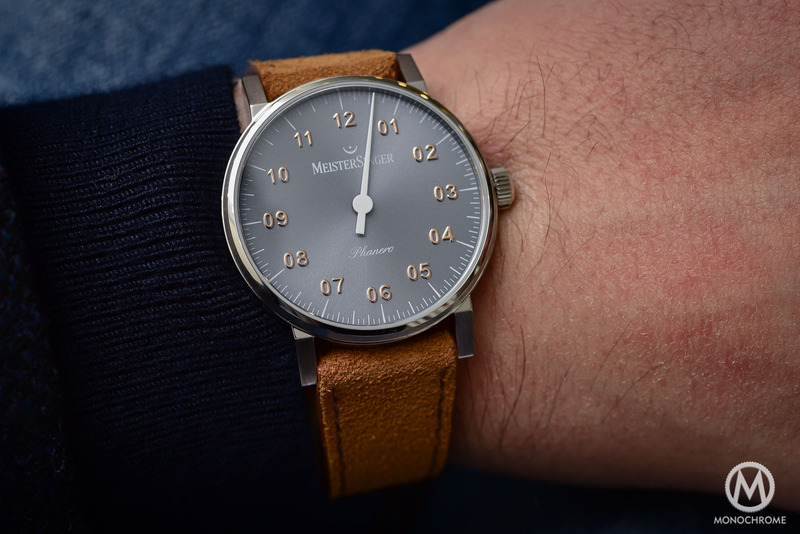 With the MeisterSinger Phanero, we actually take the same concept, in a more mature, even cleaner style. Yes, the Phanero has a single hand. And that’s it. Yes, it remains mechanical, but the movement is hand-wound and slim. And yes, the case remains small (even smaller in fact) but it is now more modern, more angular and more masculine. 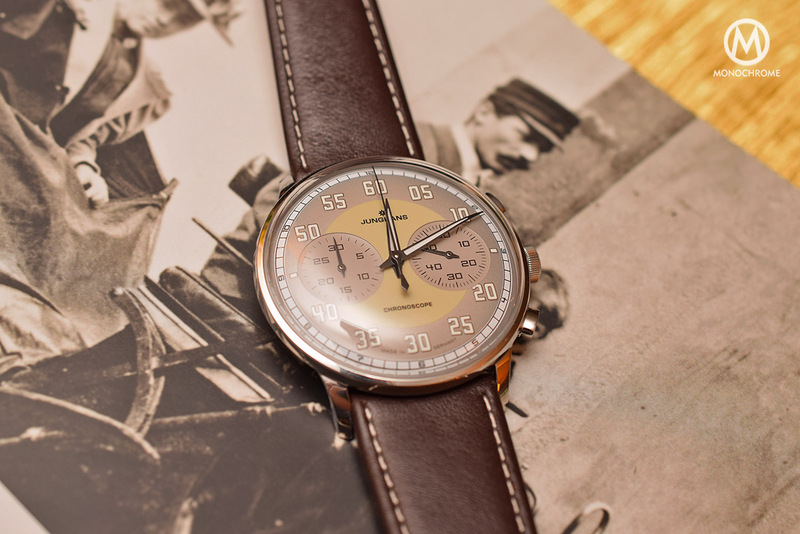 The MeisterSinger Phanero features a 35mm case. We already hear you screaming “ladies’ watch“, “way too small“, “not for me“. And that’s fine. It will certainly be seen as too small by some. However, 35mm is a very nice size – look at the Nomos creations or the recent Tudor Black Bay 36. Reasonable diameters are coming back. It has a certain elegance, a way to embrace your wrist and to make the strap visible, even when looking at the watch from the top. Some will have to get used to it but in the end, it will be back. The other good news here is that it is slim, at 7.5mm. 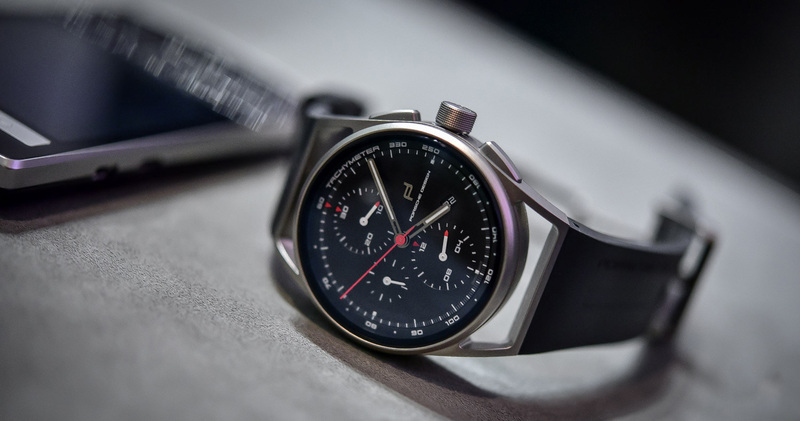 First, it gives good proportions to the watch and then, it makes it comfortable (and almost forgettable on the wrist). The good aspect is that this case, even if measuring 35mm, is less shy than before. Past creations of MeisterSinger were very round and smooth, bringing the focus on the dial and the single hand complication. 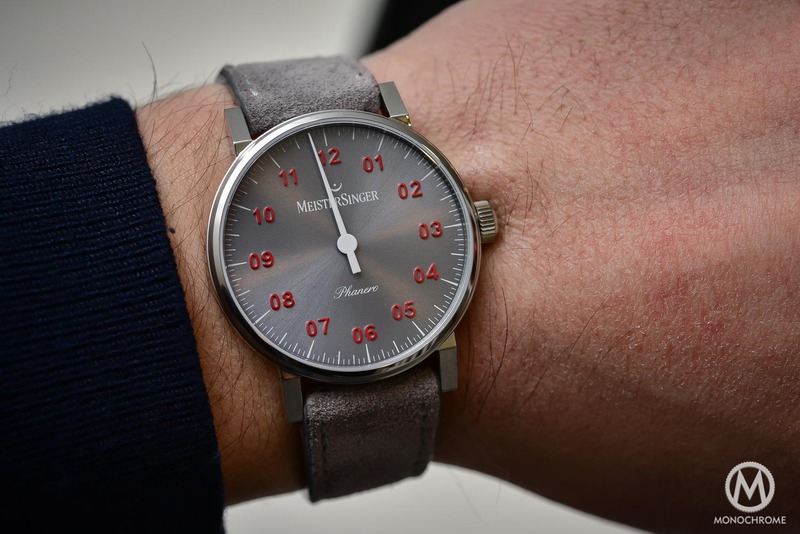 The MeisterSinger Phanero is more angular, it has lugs and facets. The bezel is slim but it exists – a Neo has almost no bezel. The case is also more flat when seen from the sides. Overall, it has more presence on the wrist. The display however remains very traditional for the brand, with a single hand pointing 12 hours, all of them divided in 5-minute segments. Legible enough, we’ll say. Knowing the time to the closest 5-minute is, in normal conditions, more than accurate enough. The MeisterSinger Phanero features raised numerals for the hours, applied on the dial. It will be available in 5 editions, all with highly contrasted and bright colors for these numerals: ivory with blue numerals, grey with red numerals, grey with gold numerals, blue with white numerals and green with white numerals. To power this single-hand display, the MeisterSinger Phanero features a slim, hand-wound movement – a first for the brand. It is a Sellita SW 210 – so to say, a simple but robust movement, which feels pleasant to look, with Geneva stripes and blued screws. 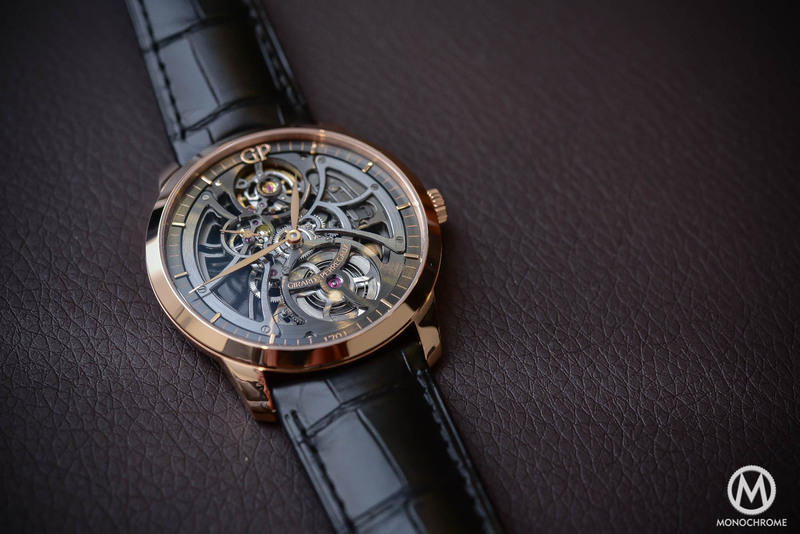 It features 19 jewels, ticks at 4Hz and boasts 42 hours of power reserve. 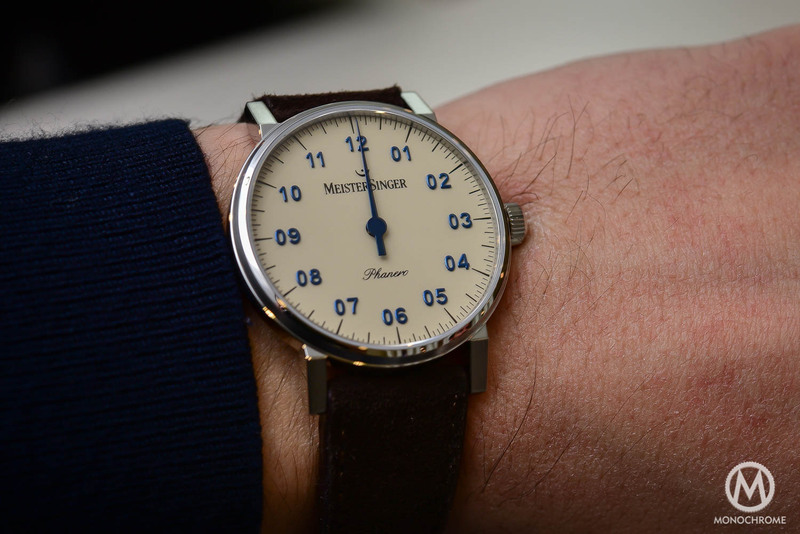 Like all the watches from the brand, the MeisterSinger Phanero is a bit offbeat. Yes, it is small, it has a not-so-practical single hand and it has fancy colors. 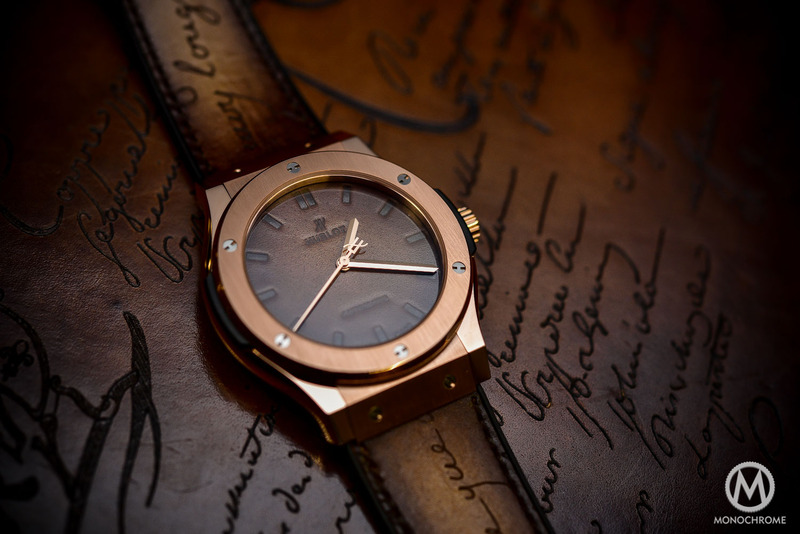 And this combination designs a watch that has some charm and a cool factor. The new case design adds a bit of maturity and a more masculine style. 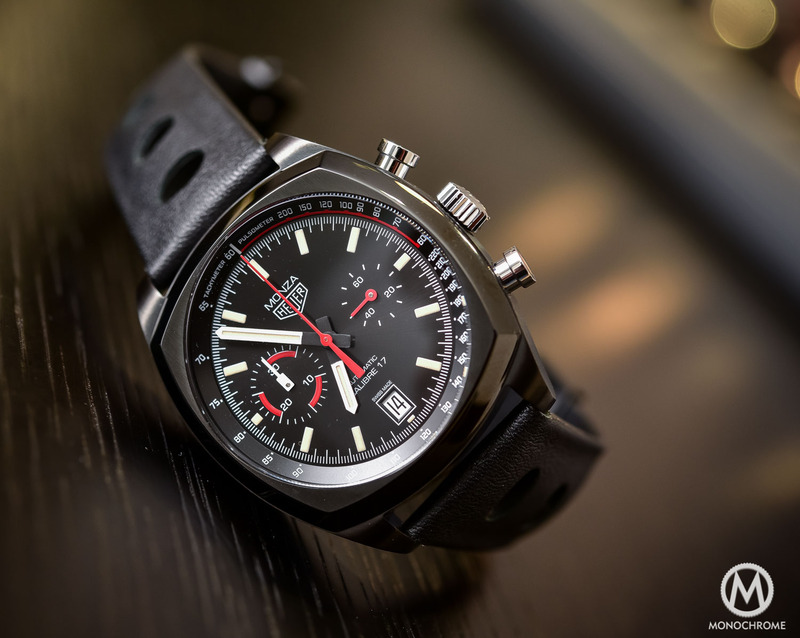 An interesting watch for an interesting value. Price: 1,495 Euros. Very nice and good size.